A ULIP is an investment product launched by a few eminent insurance providers as compared to the more generalized form of insurance policies developed by others. It’s actually an integrated plan that creates both the opportunities of coverage and investment for the policyholder simultaneously. The life coverage that you enjoy will claim a portion of your premium. The remaining portion is invested in a preferred fund so that you achieve a safety-shield for protecting the entire household financially. A ULIP plan yields great returns on the vested amount even in the event of any untoward incident. ULIP plans have always been preferred over other forms of insurance due to their lucrative features. Multiple funding options – When it comes to asset allocation, a plethora of options is created by the best ULIP plans in the industry. Compared to investing your entire savings in just a couple of funds, you may consider picking a ULIP plan with multiple funding options that offer a more diversified allocation in equities. A ULIP will help you gain a few additional investment options or an appropriate plan besides curbing your investment risks. Choosinga plan online – These days, it has become a lot easier to choose an online ULIP plan due to their lucrative options. You may pick the right plan that matches your financial situation. It’s much easier to compare all ULIP plans online as you can check their features simultaneously. The cost factor – You must pick a ULIP plan that seems more feasible in order to avoid the financial burden of meeting your premium. Your policy might lapse in case you’re unable to meet the cost of the premium. This isn’t a good thing for your financial situation. Opportunity to switch – There are a few ULIP plans that yield the facility of switching between each of your funds. You’ll gain the flexibility to restrict investing in a certain fund and opt for another suitable fund of your choice. Facility of redirecting premium – Choose a ULIP plan that comes with the advantage of premium redirection. It enables you to choose the right investment fund and percentage of premium that you wish to pay for it. You’ll even gain the flexibility of lowering and increasing the percentage depending on your changing financial needs. You must ensure that your ULIP policy yields all the right features that other similar plans provide for. You must have the facility of transferring the accumulated investment from the current fund to a better one within your preferred time. It’s in your best interest to gain an opportunity for redirecting the premium in your chosen funds. Gaining access to your wealth by way of partial withdrawal and loans is even important. 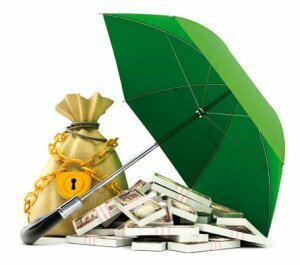 You may also need to explore the option of paying your premium within a specified period while enjoying insurance protection and wealth accumulation for a longer duration. Besides that, you must also achieve tax benefits as per the Sections 10D and 80C of the Income Tax Act, 1961.